The San Francisco Giants announced on Friday they traded infielder Conor Gillaspie to the Chicago White Sox in exchange for pitcher Jeff Soptic. 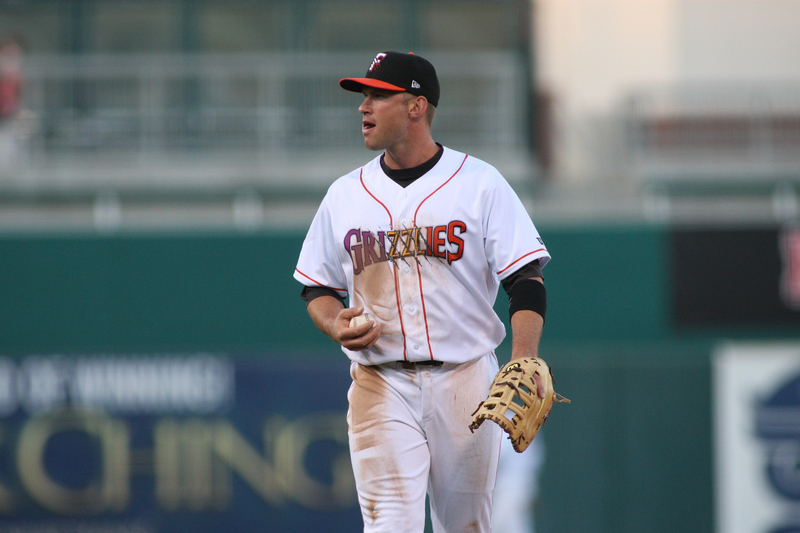 Gillaspie has spent most of the last 2 seasons with the Grizzlies, batting .289/.368/.447 with 25 home runs and 110 RBIs. 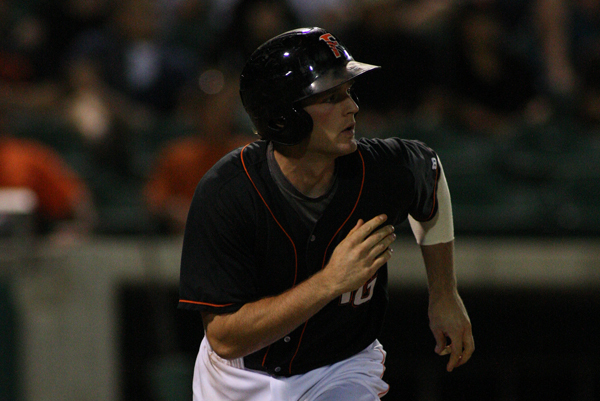 Gillaspie led Fresno in walks with 66 in 2011. The Wichita State product was selected 37th overall by the Giants in the 2008 Draft. Soptic was drafted by the White Sox in the 3rd round of the 2011 Draft out of Johnson County (Kan.) Community College. The Leawood, Kansas native spent all of 2012 with Single-A Kannapolis, appearing in 27 games. He was 3-2 with a 5.40 ERA (26er, 43.1ip) and 36 strikeouts against 29 walks. He also had 16 wild pitches. Opponents batted .176 against Soptic last year. The right-hander was rated as having the best fastball in the Chicago farm system by Baseball America prior to the 2012 season. According to Baseball America, OF/1B Todd Linden has signed a minor league contract with the San Francisco Giants. The contract doesn’t include an invitation to big league Spring Training. 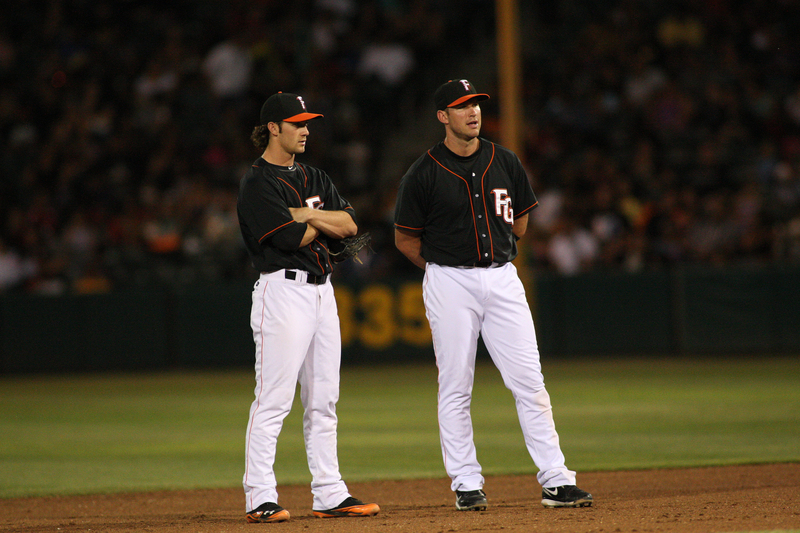 The 2013 season will be Linden’s second consecutive season with the Giants organization as he spent all of 2012 with Fresno. The 12-year veteran also played in the Dominican Winter League this past offseason, batting .256 (23-for-90) with 7 home runs and 13 RBIs over 29 games with Estrellas de Oriente. The 7 homers were tied for the third-most in the league. He also carried a .393 OBP and .522 SLG with Estrellas. Last season, Linden moved atop the Grizzlies’ all-time leader board in several offensive categories, including hits (563), home runs (83), and RBIs (310). The native of Edmonds, WA has played in 558 games over six seasons with the Grizzlies since 2002. For most – if not all – players, a career in the minors is undesirable. Linden probably has that same mindset, but he never let it show with the Grizzlies in 2012. He was a professional all year, helping Fresno finish with a winning record and mentoring up-and-coming players as they knock on the Major League door. MLB.com and Baseball America released their respective 2013 Top Prospect lists for the San Francisco Giants organizations. The MLB.com version is for the Top 100 prospects in all of baseball. Two Giants cracked the list: RHP Kyle Crick at #86 and OF Gary Brown at #100. This is the first time Crick made the MLB.com list while Brown was #48 for the 2012 version. Baseball America, meanwhile, has been rolling out their organizational top prospects for each farm system over the last few weeks. January 30th was the Giants’ turn. Beat writer Andy Baggarly filed this year’s list as he has done in years past. Crick was the top choice for the Baseball America list. Brown was fourth. 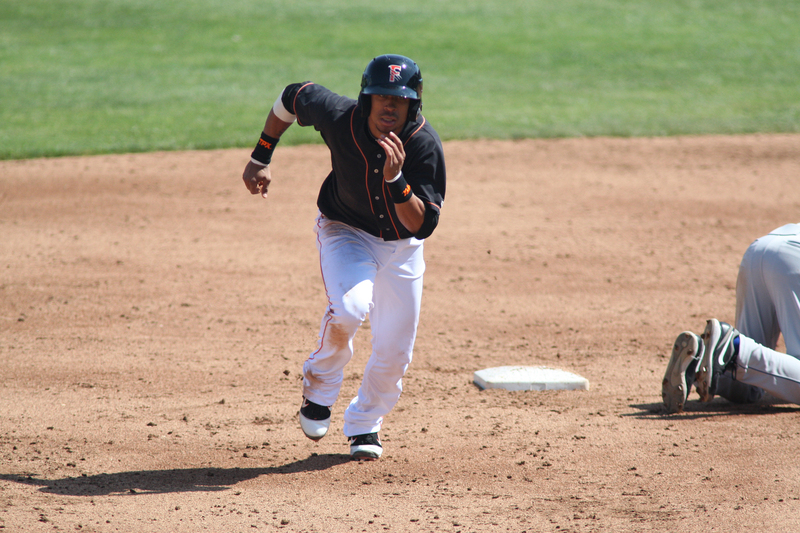 While Crick is not considered to appear in Triple-A this season, many project Brown to possibly start the season with Fresno or at least make a stop with the Grizzlies some time in 2013. Brown played all of 2012 with Double-A Richmond. He struggled early on with the Flying Squirrels, hitting .227 through his first 23 games, but he rebounded with a strong May and June to finish with a .279 batting average. He also played in the Arizona Fall League this offseason. Three Fresno Grizzlies from 2012 were in the Top 10 Prospect List: Heath Hembree (#7), Francisco Peguero (#8), and Roger Kieschnick (#9). Hembree is coming off his first pro season at Triple-A. He tied for the team lead with the Grizzlies in saves with 15 despite missing a month-and-a-half with an arm injury. Before he went on the disabled list, Hembree was elected to the PCL mid-season All-Star team. Peguero parlayed his first Triple-A season into his Major League debut last August. Peguero had a team-best 10 triples for Fresno last season, which are tied for the second-most ever by a Grizzlies hitter in a single season. The outfielder made his big league debut on August 25th and played in a total of 17 games for the Giants. Peguero was rated as having the best outfield arm in the Giants system by Baseball America once again. Here’s proof of that distinction. Yeah, we think he deserves it. Kieschnick also made his Triple-A debut in 2012. He missed three months due to a left shoulder injury, but still managed to pace the Grizzlies in home runs with 15. Here is video evidence of power. Kieschnick went down with the injury on May 31st, when he was batting .319. He appeared in four games as a designated hitter in the final series of the season from August 31-September 3, hitting a home run in the penultimate game. Another name to watch for on the possible 2013 Grizzlies roster is Michael Kickham. The left-handed pitcher was placed fifth on Baseball America’s Top 10 list. The Missouri State product made 27 starts over 28 games for Double-A Richmond in 2012, going 11-10 with a 3.05 ERA. He had 137 strikeouts and 75 walks in 150.2 innings pitched. He has quickly risen through the Giants system – he skipped High-A San Jose – and he may earn a shot at Triple-A in 2013 based on his career projection thus far. Kickham is rated as having the best slider in the Giants system according to Baseball America, a lethal pitch for a southpaw. The 24-year-old was selected by the Giants in the sixth round of the 2010 First-Year Player Draft. Did you hear? Ryan Vogelsong and Doug Fister will be the guest speakers at the 52nd Anniversary Hot Stove Gala. The event is on Thursday, February 7th at the Fresno Convention Center in Downtown Fresno. The Hot Stove dinner, which benefits the Fresno Grizzlies Community Fund, will be filled with plenty of conversations about the World Series and playing baseball in the Central San Joaquin Valley. Vogelsong was the Grizzlies’ Opening Day starting pitcher in each of the last two seasons. Both starts had different reasons, though. In 2011, the right-hander was giving what seemed to be one final shot at being a Major League pitcher. He impressed the Giants over two starts with the Grizzlies and was the player selected to replace Barry Zito in the starting rotation. 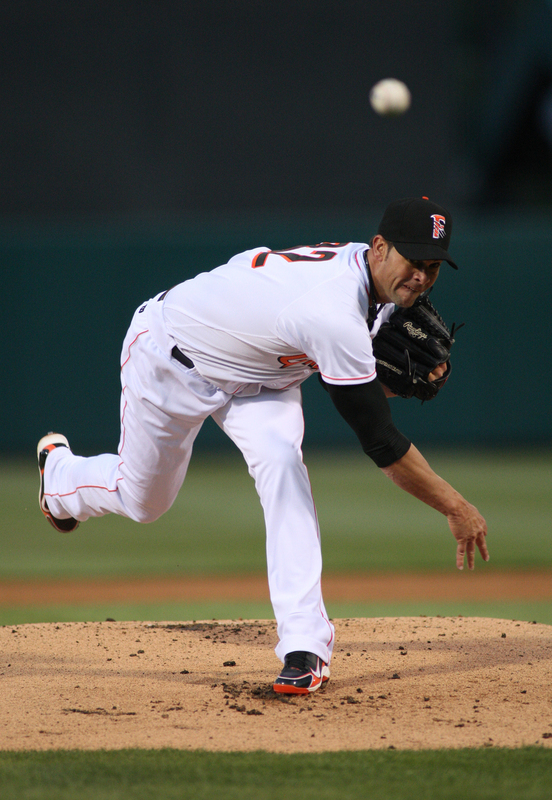 In 2012, Vogelsong started the year with Fresno on Major League Rehab assignment. Vogelsong is one of the 17 of the 25 Giants on the World Series roster who have worn both a Grizzlies and Giants uniform. Vogelsong, being that he was drafted by the Giants and groomed in the organization with a stop in Fresno, is one of the Farm Grown stars on the Giants. 7 of the 25 players from the Giants’ World Series roster at one time played for the Grizzlies, Vogelsong is the only one who can claim he wore the purple and black jerseys (for what it’s worth). Vogelsong made 10 starts for Fresno in 2001. Vogelsong’s story is one all fans would want to hear. The former Giants draft pick also pitched in his home state with the Pittsburgh Pirates before going on a journey to Japan for three seasons with two different teams. Once he returned from Japan in 2010, he spent allof the first season in Triple-A wondering if he would ever get the opportunity again to pitch in the big leagues. Since then, Vogelsong has been named a National League All-Star, honored with the Willie Mac award winner and won a World Series. Not bad considering his path. Fister faced the Giants in game two of the 2012 World Series. Fister allowed only one run over six-plus innings, striking out three and walking one. He suffered the loss as the Giants beat the Tigers 2-0. Fister was first drafted by the Giants in the 49th round of the 2003 Draft, but he elected not to sign. Fister is from Merced, California and went to high school at Golden Valley High in Merced, which is about 50 minutes from Downtown Fresno. Fister attended Merced Junior College and Fresno State. He pitched for the Bulldogs from 2005-06, and he earned All-Western Athletic Conference honors as a senior in 2006. In his Fresno State athletics bio, he listed his biggest athletic thrill (before he was a pro) was pitching at “SBC Park,” or now known as AT&T Park, home of the Giants. While he has never pitched in Chukchansi Park in his pro career, Fister has faced the Grizzlies twice. He faced the Grizzlies at Cheney Stadium in 2009 when he was pitching for the Tacoma Rainiers. Scott, Meet Giants Organization. Giants Organization, Meet Scott. Major League Baseball’s Rule 5 Draft took place today. Don’t blink because it lasted 36 minutes. Only half of MLB’s 30 teams took action in the Major League phase of the draft. (For more info about the Rule 5 Draft structure, click here). The San Francisco Giants were among the half that sat out the Major League Phase. For the World Series champions, though, they elected to participate in the Triple-A Phase, picking up right-handed pitcher Scott Shuman from the Tampa Bay Rays. (The Giants lost a player in the Triple-A Phase as well: RHP Cameron Lamb to the Houston Astros. Lamb has never pitched above Class A Short Season). Shuman, 24, was originally drafted by Tampa Bay in the 19th round of the 2009 First-Year Player Draft. The Auburn product made his professional debut for the Rays’ Rookie team in 2009, appearing in 10 games for the Princeton Rays of the Appalachian League. The Valdosta, Georgia native spent 2010 and 2011 in Class A, including parts of both seasons with the Florida State League’s Charlotte Stone Crabs (although it was for only one game in 2010). With Class A Bowling Green in 2010, Shuman led the Hot Rods with 14 saves and held opponents to a .195 batting average against, the second best mark in the Midwest League. In 2012, the right-hander appeared in 29 games for Double-A Montgomery, posting a 0-1 record with a 8.83 ERA (34er/34.2ip). He struck out 54 and walked 47 over the 34 2/3 innings as well. For his four-year career, Shuman is 4-10 with a 4.29 ERA over 182 1/3 innings, tallying 283 strikeouts and 155 walks. Did we mention he went to Auburn? This slipped by last week (#ThanksgivingProblems), but former Grizzlies player Emmanuel Burriss was signed by the Cincinnati Reds to a minor league contract (via Matt Eddy from Baseball America). Burriss, who elected free agency earlier in the month after the San Francisco Giants outrighted him to Triple-A, suited up for the Grizzlies for parts of five seasons from 2008-2012. The switch-hitter made his Major League debut in his third professional season in 2008. He started that year in Fresno, playing in 14 games. His 2009 and 2010 seasons featured left foot injuries, with the 2009 campaign ending in July after he fractured a left toe rounding second base at Chukchansi Park. By the time the 2012 season ended, the 33rd overall pick from the 2006 Draft had played in 172 games with the Grizzlies in his career. He batted .281/.343/.357 over the 172 contests with 29 doubles, seven triples, three home runs, 48 RBI and 48 stolen bases (62 attempts). Speed was Burriss’ signature attribute while with the Giants organization. The 48 steals with Fresno place Burriss tied with Calvin Murray for fifth-most in franchise history. On April 8, 2011 against Las Vegas, he became the first player in Grizzlies history to steal four bases in a game. He also placed his name in the Fresno history books once again last season after recording the walk-off sacrifice fly in the organization’s 1,000th all-time victory. Burriss, who will be 28 years old by 2013 Opening Day, gets a fresh start with a new organization for the 2013 season. The Grizzlies organization wishes Emmanuel the best of luck in the new chapter of his career. Parker is a champion. Well, at least he partied like one. From the World Series Watch Parties at Chukchansi Park to the World Series Parade in San Francisco, Parker was there during every step of the San Francisco Giants run to the 2012 championship. In Episode 3 of I Hate The Off-Season 4, Parker shares his entire journey (including seeing some friends from Fresno during the parade in San Francisco! ).